Congratulations are in order for DayDreams Travel - a long standing customer of Cosmic - upon reaching their 30th year in business. The Devon based travel company was founded by owner, Jenny Day (pictured), in 1987. Reaching this amazing milestone is no mean feat and we are thrilled to celebrate with Jenny. Jenny Day started DayDreams in the late 1980s following a 5 star corporate weekend to Istanbul for 100 clients from her London based PR consultancy. Wearing her PR hat, she lead many journalists to Turkey in the late 80's on gulet holidays. Intent on sharing the experience with friends, she returned several times organising her own private charters on the first Cevri Hasan boat. Using the organisational skills that she honed as a public relations consultant, she put together several boat parties. They were a great success and the word quickly spread. Her dream of offering a style of holiday, once the preserve of the rich and famous, to a wider audience had become a reality and DayDreams had become a thriving business. Over the years, a loyal following of DayDreamers have joined her in exploring new locations, excavations and land excursions. Her idea of continuing this concept with the formation of The Travel Club was launched in 2012 with holidays on land and sea. 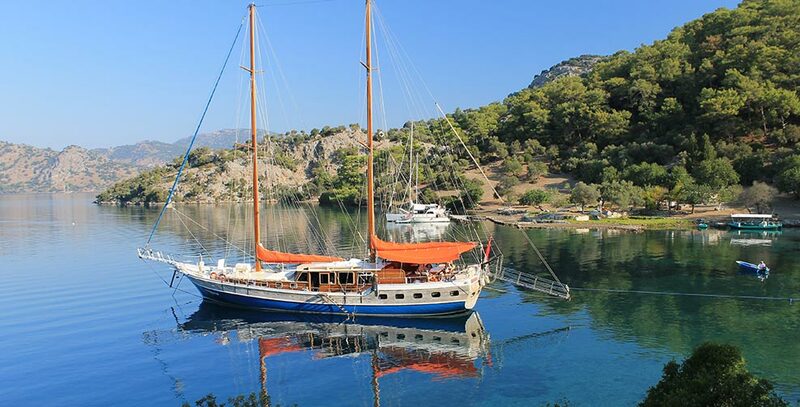 The company offers sailing holidays on traditional Turkish boats known as gulets, with a wide range of charters and cabins available from low budget to luxury, with numerous itineraries along the Turkish coastline and Dodecanese islands. Tailor-made land tours to Istanbul, Cappadocia and throughout the Aegean and Mediterranean regions can be added. Cosmic are thrilled to have been able to support DayDreams with their website for so many years, and we wish to congratulate Jenny, and all involved, in reaching this impressive anniversary.